Matt Gajda is the Executive Vice President of ASI Consulting Group, LLC and is responsible for general management, global business development, marketing, relationship management and solutions identification for the organization. 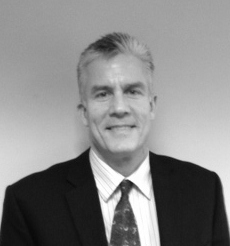 Matt has been practicing productivity and quality improvement for over 20 years. He is a Master Black Belt in Six Sigma and Design for Six Sigma (DFSS), Red X Master and Baldrige Examiner. Matt has helped many organizations throughout the world in Red X, Lean, Six Sigma, Lean Six Sigma, Design for Six Sigma (DFSS), LEO (Listen-Enrich-Optimize), Value Stream Mapping, Theory of Constraints (TOC) and the Toyota Production System (TPS). Some of his clients include Ford Motor Company, General Motors, Chrysler, Lear, TRW, Bosch, Siemens, National Grocers Association, The Joint Commission (JCAHO), Henry Ford Hospital, ACGME, Leader Dogs for the Blind, Make it Right Foundation, the State of Michigan, and the United States Government. Matt received his undergraduate degree in Industrial and Operations Engineering from the University of Michigan, and his MBA from Wayne State University. He is also an adjunct Faculty Member at Wayne State University and has written and contributed to several articles and books on Quality and Productivity. ASI Consulting Group, LLC: Global leader and pioneer in Quality Improvement for more than 30 years, specializing in Six Sigma, Design for Six Sigma (DFSS), Quality is Everyone’s Business (QIEB), Robust Engineering, Lean standards and Listen-Enrich-Optimize (LEO).